A delegation of MPs from Congress, CPM and 13 other opposition parties, on Friday, submitted a memorandum to President Ram Nath Kovind demanding a probe by a Special Investigation Team (SIT) into CBI Special Judge Brijgopal Harkishan Loya’s death. The memorandum, signed by 114 Parliamentarians, drew the President's attention to the "Government's constant assault on out democratic values and traditions since it assumed power in 2014." "The use of violence by fringe elements of a particular mindset has spread fear amongst our citizens. The wanton misuse of investigating agencies to silence political opponents is rampant. Efforts are also afoot to derail investigations and trials in sensitive criminal cases thereby subverting the cause of justice," it added. While highlighting the circumstances surrounding Judge Loya's death, the memorandum also referred to the claims made by Congress leaders Kapil Sibal, Salman Khurshid, Vivek Tankha and Randeep Surjewala during a recent press conference. Mr. Sibal had then raised suspicions regarding the death of two of Judge Loya's associates- Advocate Shrikant Khandalkar and retired District Judge Prakash Thombre. 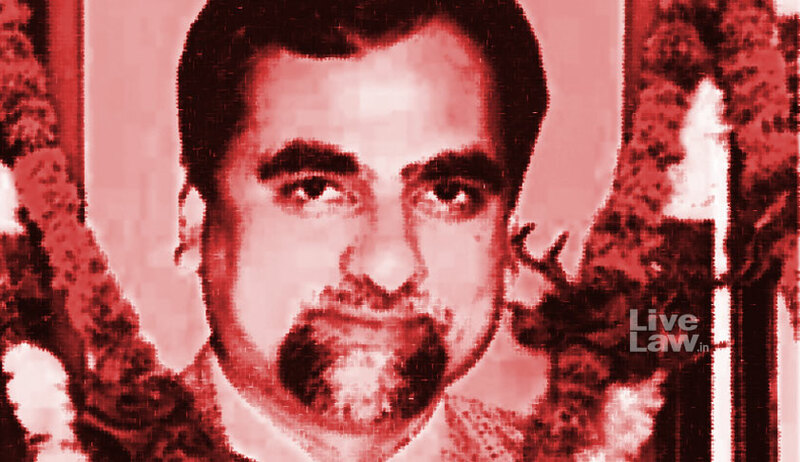 He had alleged that Judge Loya had confided in both of them regarding the pressure he was facing to exonerate the accused in the Sohrabuddin murder case. Subsequently, both Mr. Khandalkar and Mr. Thombre died mysterious deaths, Mr. Sibal had said. Emphasizing on the foul play in Judge Loya and his confidants' death, the memorandum demanded, "We believe that if lives of judges and lawyers are jeopardized for doing their duty, then democracy is under grave threat. Recently, four senior most puisne judges of the Supreme Court also expressed the sentiment that democracy was in peril. To uphold the majesty of law, we request you to intervene in the matter. What is required is a thorough investigation through an SIT of an independent officers selected and monitored by the Supreme Court. Neither the CBI nor the NIA, considering their track record should be entrusted with the investigation. Such a procedure will restore the credibility of institutions in the eyes of the public. We sincerely hope you will use you good offices to serve the cause of justice."